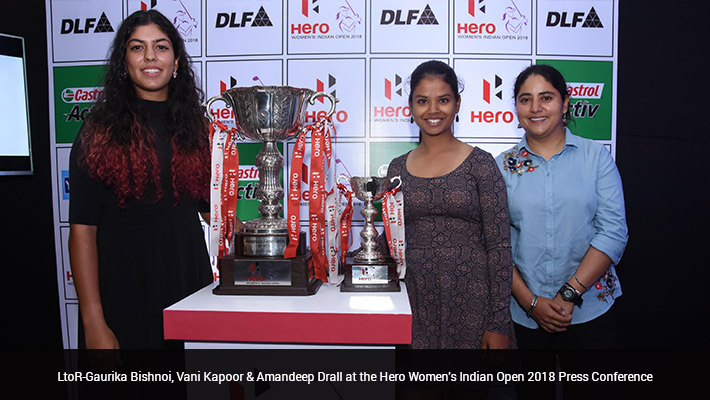 New Delhi, September 25, 2018: The Hero Women’s Indian Open is set to return for its 12th edition with as many as 120 players from over 30 countries vying for the coveted trophy and the highest-ever prize purse of US $500,000. 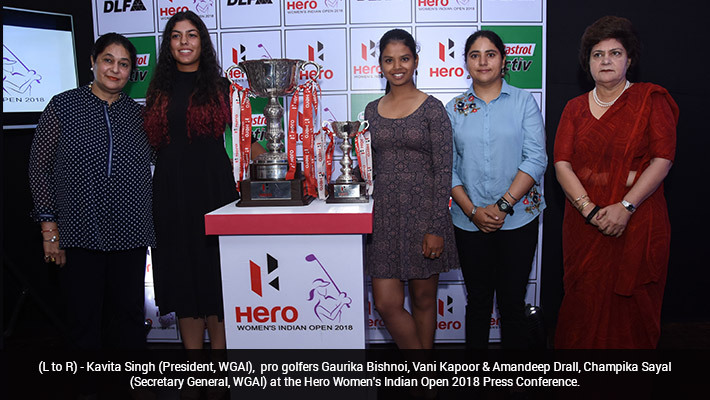 The Hero Women’s Indian Open (HWIO) 2018 will set a host of new landmarks – starting with the prize money that touches a record half a million dollars (US $500,000) for the first time, making HWIO the second richest golf tournament in the country after the men’s Hero Indian Open. The prize money gets a 25 per cent increase over 2017 and a five-fold increase from its inaugural edition in 2007. For the first time, the Tournament will be contested over 72 holes and telecast Live over all four days, a significant landmark for Indian women’s Golf. Vani Kapoor, who finished a career-best tied-sixth in the previous edition, will be leading the Indian challenge. Amongst other top Indians is the current Hero Women’s Pro Golf Tour Order of Merit leader - Tvesa Malik, along with Amandeep Drall, and Gursimar Badwal among others. The international players include defending champion Camille Chevalier, former champion Swedish Caroline Hedwall, who also won the Lacoste Ladies Open de France earlier this month, Beth Allen - the 2016 LET Order of Merit winner, Thailand’s Kanyalak Preedasuttjit - winner of the Thailand Ladies Open, and Celine Boutier - winner of the Australian Ladies Classic. With over four weeks to go for the tournament, the field is expected to grow stronger as more entries are still coming in.